A young boy, Ivan, experiences the early stages of his parents’ separation and finds hope in the beauty and music of nature. This tale of personal growth will provide a much-needed mirror for children in times of change — and an important reminder for all that there’s beauty everywhere you look. "Tamara Ellis Smith does more than tell a lovely, lyrical story — she serves as empathic witness to the love and complexity inherent in growing up in more than one household. It's a work of art but also an act of generosity." 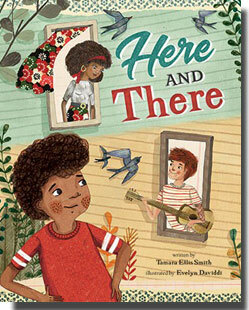 "Tamara Ellis Smith puts her finger directly on the joy and the ache that Ivan's two-home life evokes, with beautiful imagery and an authorial heart that knows a thing or two about childhood longing." "A sweet and gentle book on understanding and coping with divorce." Copyright © 2019 Tamara Ellis Smith. Powered by WordPress. Theme: Spacious by ThemeGrill.